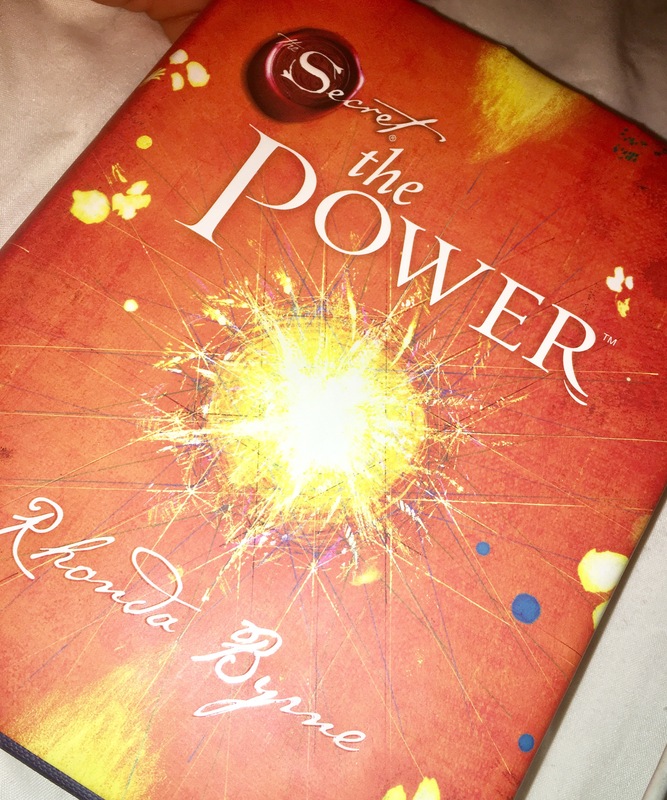 I’m currently reading a book called ‘The Power’ by Rhonda Byrne. The author discusses the feeling of love and the impact love has on our lives. I don’t need to explain the book, as anyone who is interested in reading about how to live an amazing life will read it themselves. I will, however, mention how the book has given me a completely different outlook on life. I now feel much more in control of MY life and the opportunities open to me. I have adopted a different approach towards life and the way in which I live mine. I no longer feel as though I have a lack of control but instead all the power in the world to control how I live my life and the decisions I make. Now, don’t get me wrong, a book alone hasn’t allowed me to change my mindset. I have an amazing family and such a supportive boyfriend which have empowered me to think this way. I’m constantly battling with myself, what do I want from life? There’s no set answer to this apart from the fact that I want to be happy. 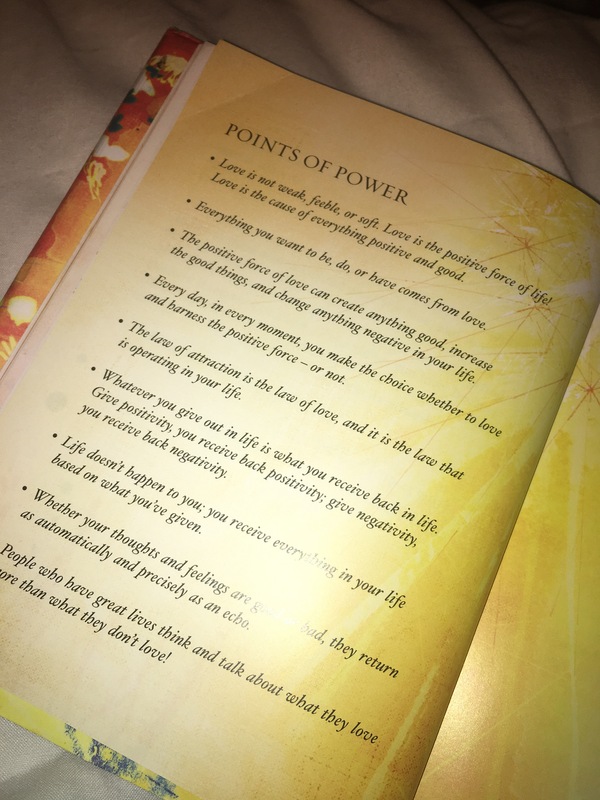 I’ve always been quite open minded, however, reading this book and focusing more on myself has enabled me to think more positively and stay motivated. 1. Focus on yourself and what YOU want from life. Do you want to wake up everyday miserable? Worrying about what your day is going to bring? Thinking about all the stresses you’ll have to face? Or do you want to wake up excited and motivated about your day ahead. The choice is yours. In order to make this decision you must decide what makes you happy. 2. Leave all negative people and things behind. I know people can droan on and on about staying positive, thinking positive, blah blah blah. But honestly, once you genuinely can and do think this way you will feel sooo much better within yourself. I’m still working on staying positive, even on certain days when everything is weighing me down, but it’s helping me grow as a person. I used to care way too much about what others think and doing things to please others. After living like this for such a long time, I’ve finally realised that all that matters is me. Don’t go out your way to please people if it’s not bringing anything positive into your life. At the end of the day, you’re the one who needs to benefit from the steps you take. I think the best thing that’s ever happened to me is letting the people and things that bring any kind of negative vibe to my life, go. Setting them free will allow you to live a happier life. 3. And finally live and lead the life you want. Don’t follow a path because it’s easy, or that you’re “meant to do” or because socially right etc. I think our generation’s problem is that we are led to believe that success is money. In my eyes success is looking back on life and knowing you have lived a happy, prosperous life that you have lived to the fullest. We all have the opportunity to live the life we want. We all have the chance to follow our dreams. It just depends on whether you are willing to work for it. No one should work a boring job because it “paid the bills”. Everyone should be able to follow their dreams and say they’ve made it due to the drive and passion that was involved. I know it’s hard to automatically change your thought process, and trust me I’m still working on it. I’ve been through a lot the past year which has really changed me as a person and allowed me to adopt this mindset. Anyways, thank you for reading and I hope this has allowed you to really think about what makes YOU happy in life and think more positively.